The words of Fraser Fyvie quoted by the Scottish Herald, before he joined Yeovil Town on a three month loan deal today. The young Scot had not even been made the bench, let alone started, in a league game this season. Were Roger Espinoza less tactful he too might say something similar. A star in an Honduras side that has secured qualification for Brazil, he has started in only two league matches for Latics this season. Despite his international experience – 34 caps for his country at the age of 26 – Espinoza has not appeared in either of the Europa League games up to this point. In the league matches where the Honduran made the starting line-up he was taken off after 65 minutes against Nottingham Forest and 55 minutes at Leicester. The loan of Rob Kiernan to Southend was announced earlier this week. It is the central defender’s fourth loan move since joining Latics in 2011. Kiernan is 22 years old and does not yet have the right kind of experience to enable him to challenge for a first team place. He has made regular appearances for Latics’ under 21 team, but the lack of serious competition in the Central League would not have done much for his development. The under 21s find themselves in a division of clubs from the third and fourth tier of English football. The gap between the level of football in the Central League and that of the Championship is huge. Fyvie is only 20. Unlike Kiernan he has considerable experience at a competitive level. He was signed as a 19 year old with more than 50 senior games prior experience under his belt for Aberdeen. Roberto Martinez used him sparingly last year, presumably giving him a year to adapt to English football. 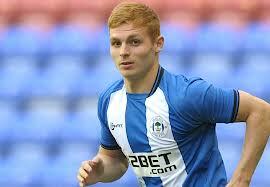 Fyvie has the potential to be a good player at Premier League level. When Coyle signed Chris McCann, Fyvie probably saw the warning signs. The squad was already overloaded with quality midfield players despite relegation from the Premier League. McCann himself has had few opportunities, despite his previous record of success in the division and might well prove to be a player of Premier League quality were the opportunity to arise. Conspiracy theorists will say that Coyle is ridding himself of players he inherited. Questions remain about the futures of long term injured players – Gary Caldwell, Ali Al Habsi and Ivan Ramis. Two of the three are ex-players of the year for Latics. The third – Ramis – might have received the same honour had his season not been curtailed by a cruciate knee ligament injury at Fulham in January. One also wonders about Shaun Maloney. A new manager typically brings in his own players. Coyle has done well in recruiting new players who can help Latics get back to the Premier League. That is quite distinct to preparing a squad that can get promotion and hold their own at that higher level. Coyle runs the risk of losing players who have already proven themselves at Premier League level, let alone a potential talent like Fraser Fyvie. One hopes that the conspiracy theorists are misguided. As always a great article. One of the best qualities of Roberto was that he didn’t put any pressure on the youngsters, but he had a long term plan with them; Moses, McArthur, McManaman, Fyvie. Let them get time to adapt to the PL. Watching the team this year I still feel that when we play with a lot of the players who was at the club last season: Boyce, Watson, McArthur, Espinoza, McManaman and JB, we are at our best – playing the “Roberto style”. With Coyle and the new signings I feel we have lost a bit of our soul both on and of the pitch. To you guys: Keep up the good work with interesting articles and opinions.